I read this article and found it very interesting, thought it might be something for you. The article is called Endless Summer and is located at https://www.totallydublin.ie/food-drink/food-drink-features/endless-summer/. 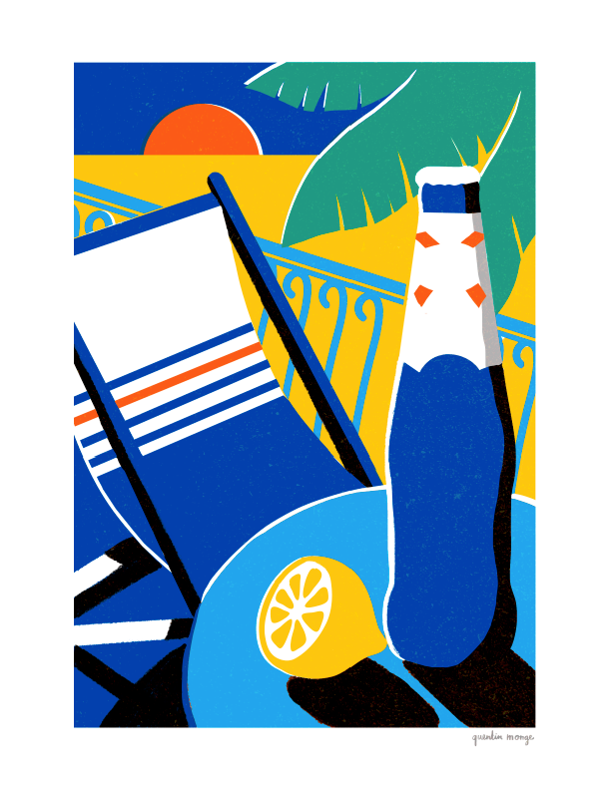 French illustrator Quentin Monge sheds some sunshine on his work and recent collaboration with Kronenbourg BLANC. 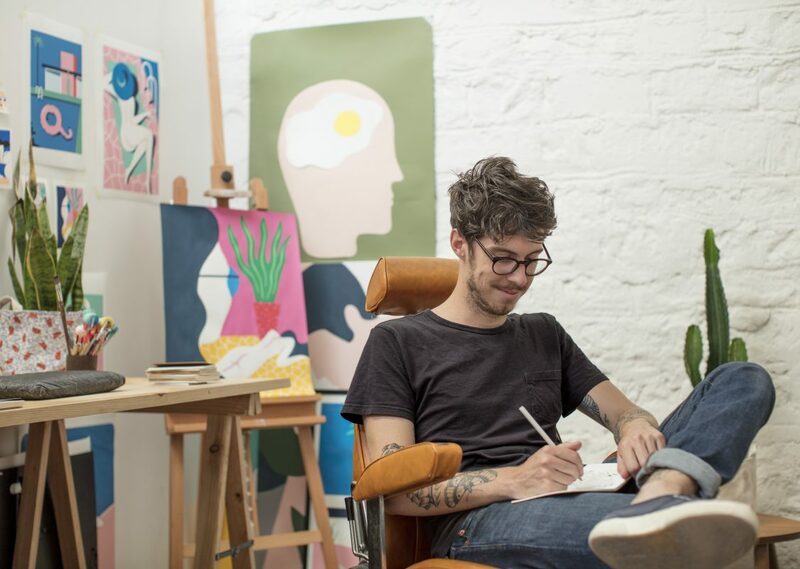 There’s one other place in the world that illustrator Quentin Monge would prefer to be than in his Parisienne studio. And that’s on a beach in the south of France. Growing up in the idyllic Saint-Tropez where the shimmering sun, sea breeze, lapping waves and silky sand all served to inform his resplendent style. Through his minimalist characters and beautifully composed patterns, Quentin captures a world of surfers in harmony with sharks and gardens of crisp and juicy watermelon. 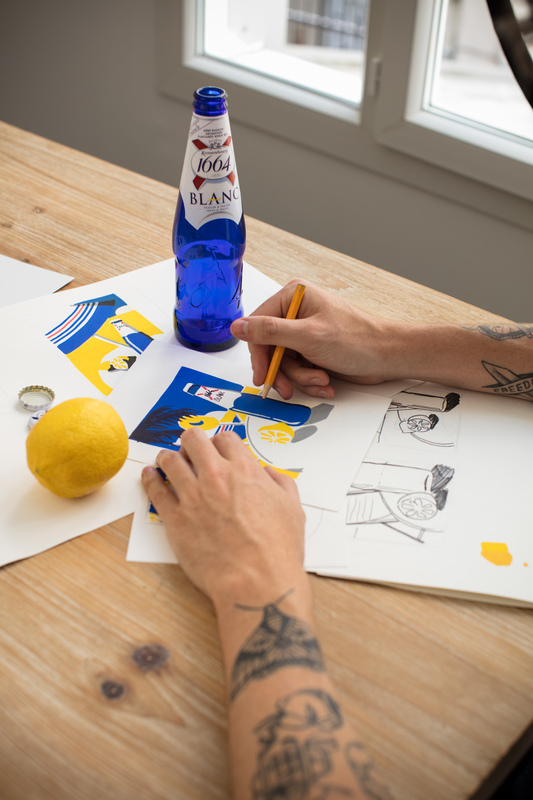 Monge has teamed up with Kronenbourg BLANC to capture the colour-filled magic of the new premium wheat beer with unique citrus twists. Today he’s teasing out sketches using a blue, red and yellow palette for his collaboration with the brand. 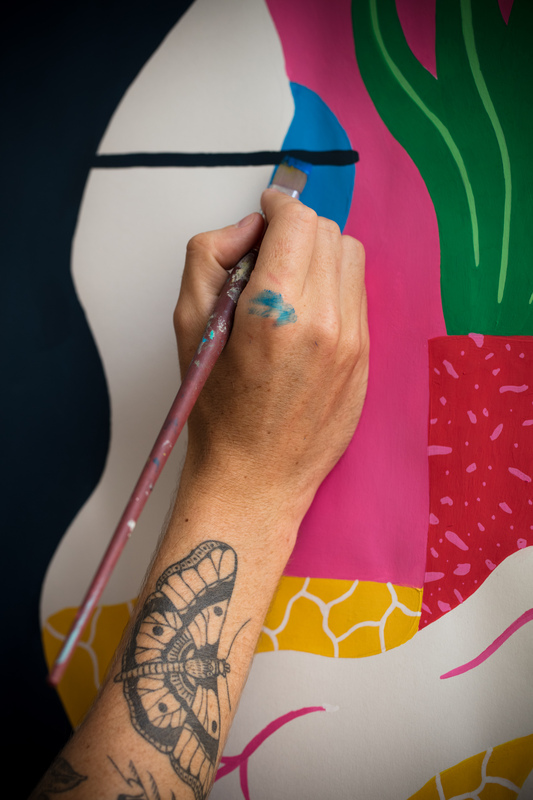 Monge is certainly a product of his era harnessing all his connections and fanbase solely through the medium of Instagram where he boasts over 64,000 followers who are attracted to the tropical hues which adorn his extensive body of work. “You can’t really be without one,” says Monge. “It’s a great platform for people to understand who you are and what you are doing. I’m able to share work in progress and behind the scenes aspects too. People are interested in how the finished product is created. In terms of future goals, Monge covets the idea of illustrating for the cover of the New Yorker and “having a show dedicated to my paintings would be awesome”. He recently took part in a group show in Paris. Kronenbourg BLANC is a French premium beer that has recently launched in Ireland for the first time. Kronenbourg BLANC brings together the perfect combination of summer, fun, premium and visual beauty. It’s the perfect drink for a summer sundowner is now exclusively available in a select number of outlets in Dublin. BLANC is a wheat beer with a twist of citrus and coriander notes, perfect for pairing with seafood, salads and desserts – the perfect way to toast the day, and keep the summer vibe alive throughout the year.